This set is called Antipasto Toscano as it takes inspiration from Tuscany with its traditional habit of having an antipasto/appetizer, which is called fettunta, simply made by toasting some slices of bread, rubbing a garlic clove on them and drizzling some extra virgin olive oil. 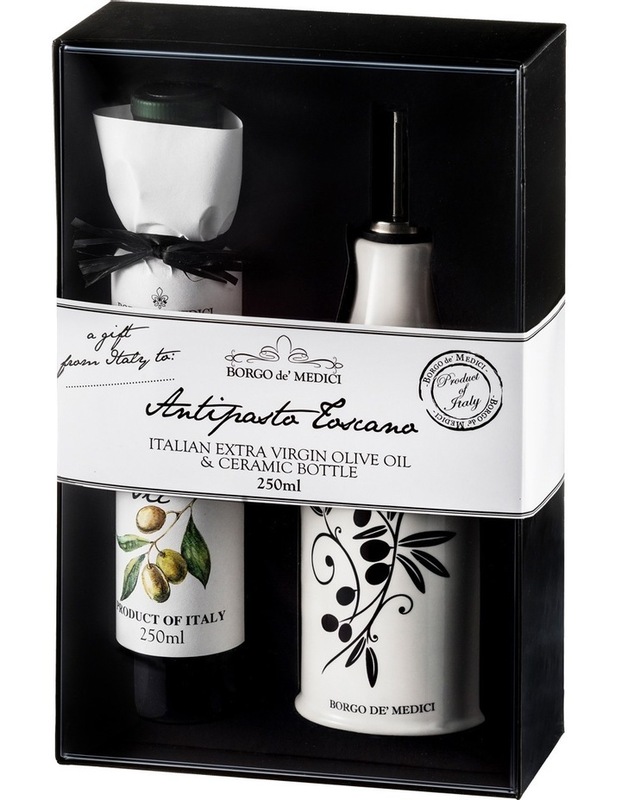 This gift is composed by Extra Virgin Olive Oil, 100% Italian, which can be used for this special appetizer, or for Pinzimonio (the use of fresh cut vegetables to be dipped into evoo with the addiction of salt and crushed black pepper) or for dressing dishes. 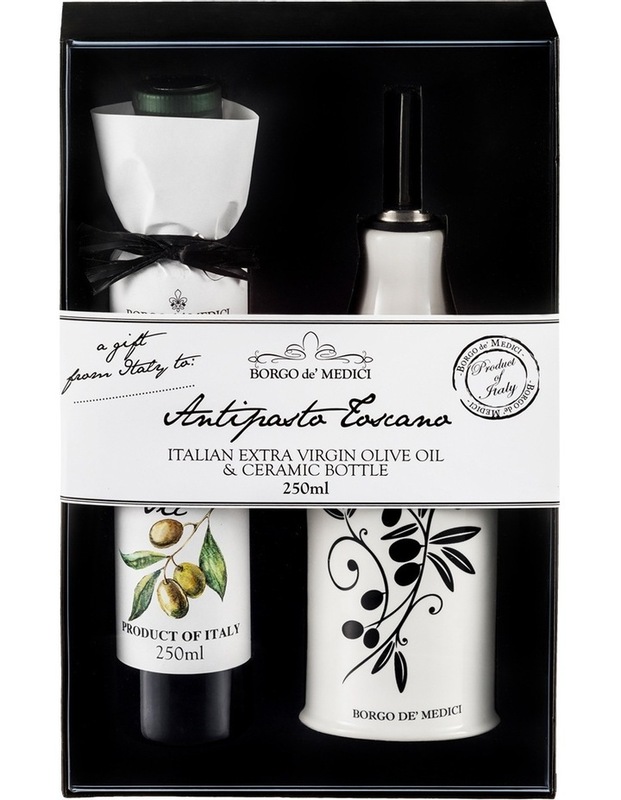 The distinctive aspect of Italian Evoo is the one of having a rich and intense flavour, due to the fact that olives grow in a such uncommon territory. 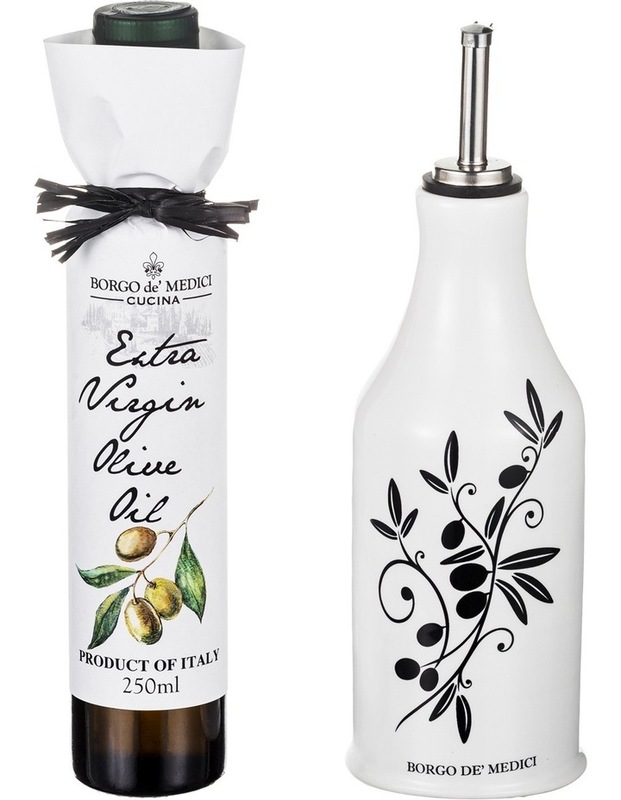 The decorated ceramic bottle is artisanally made in Italy and can be used for filling it with evoo.